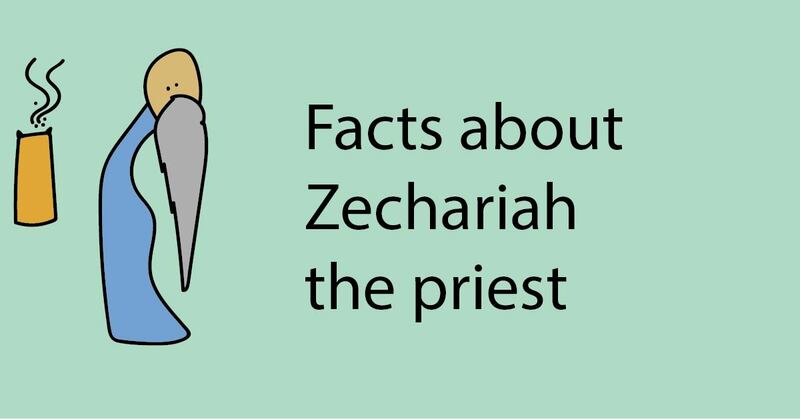 He’s the father of John the Baptist, and although he never shows up in your Nativity scenes, Zechariah is an important figure in the story of Christ’s birth. So important, in fact, that when Luke writes down the account of Christ’s life on earth, he begins with Zechariah. Let’s get a closer look at this often-overlooked character. A priest is someone whose responsibilities included offering sacrifices and taking care of the Temple of the Lord, and blessing the Lord’s name (1 Chr 23:13). One of their duties was to make sure that incense was burning before the Lord at all times. Zechariah is offering incense when we meet him in the book of Luke (Lk 1:9). The priests were descendants of Aaron, the first high priest of Israel. Aaron was the brother of Moses—the same Moses who led Israel out of Egypt. In Bible times, the Jews traced their ancestry back to one of Jacob’s twelve sons. Zechariah is from the tribe of Levi, the same tribes that Moses, Aaron, Ezra, and Asaph hail from. Luke tells us that both Zechariah and his wife Elizabeth were “blameless” when it came to the Torah: they observed all the Lord’s decrees and commands (Lk 1:6). Now, this doesn’t mean they were sinless—we’ll see in just a minute that Zechariah is not perfect. It means that they followed the commands thoroughly: especially the commands that involved cleansing themselves of sin (making sacrifices). Most of our stories of Jesus’ birth start with an angel speaking to either Mary or Joseph, right? Well, when Luke kicks off his story of Jesus, he begins with an angel speaking to Jesus’ relative, Zechariah. Zechariah is ministering in the temple when an angel appears. The angel tells Zechariah that his wife will bear a son: one who will go before the Lord (Jesus). This conversation would have taken place before Mary’s or Joseph’s visit from angels announcing the coming birth of Christ. Luke fills his first chapter with callbacks and allusions to the miraculous of significant figures in Israel’s history. Zechariah and Elizabeth are old and have no children: similar to how Abraham and Sarah were before the birth of Isaac. It was a sad thing in those days to have no children. In their culture, having no children meant that your family line ended—Old Testament characters (like Job and Jacob) were blessed with many children. But being childless was a shameful thing. 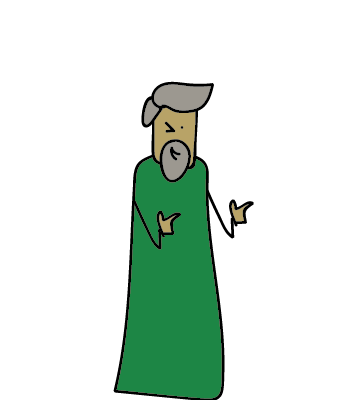 Luke doesn’t record Zechariah’s prayer. But the angel who visits him does mention that he had prayed to have a son (Lk 1:13). When God told Abraham that his wife Sarah would bear a son, Sarah laughed at the idea (Gn 18:11–15). In similar fashion, when the angel tells Zechariah that his wife will bear a son in her old age, Zechariah does not believe it. Zechariah asks how he can be sure that such an outlandish promise will come to pass. The angel replies, “I am Gabriel” (a name Zechariah may have recognized from the book of Daniel), and then tells Zechariah that he will be mute until the message comes to pass. What was zacharius’ reaction to Mary’s conception was he her advocate.God did communicate to him as he was a prophet . Did he rebuke the slanderers and uphold her chastity and vitrtuosity? 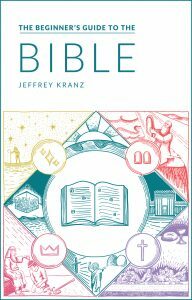 Jeffery, nice insights into Zechariah and ancestry and life. Thanks. Hi, thanks for the bible study. I am reading Luke 1 this morning and was wondering about the relationship between Zecharias’ wife, Elizabeth and Mary, the mother of Jesus. If Elizabeth is from the priestly line, the tribe of Levi, how can she be related to Mary, the mother of Jesus, who is from the line of David, the tribe of Judah? Theresa, I dig into this question on my list of facts about Mary. I think you’ll find it interesting. Long story short: Mary’s probably a Levite, but the fact that Mary was marrying Joseph (from Judah) implies that the tribes were already intermarrying. The gospel writers didn’t get hung up on genetics—it’s best if we don’t either.